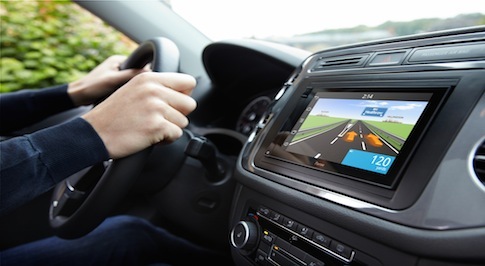 TomTom (TOM2) has announced an agreement to deliver maps to Volkswagen's latest in-dash navigation systems, which will be introduced across multiple car lines including the Jetta, Passat and Beetle. TomTom is a global leader in smart map-making, and one of the first to leverage crowd sourcing to detect changes. By combining professional map-making methods with a community of hundreds of millions of users who provide GPS traces and actively share real-world road network changes, TomTom ensures the maps it delivers to customers are accurate and up-to-date. "We are delighted to announce this agreement with Volkswagen, strengthening our relationship with one of the world's premier car manufacturers, and reinforcing our global position as a trusted provider of automotive grade maps," said Harold Goddijn, CEO of TomTom. "TomTom's real-time map-making technology ensures our customers will have the most up-to-date map on the market." The first example of the all-new VW multimedia system featuring TomTom maps will be launched in North America later this year.